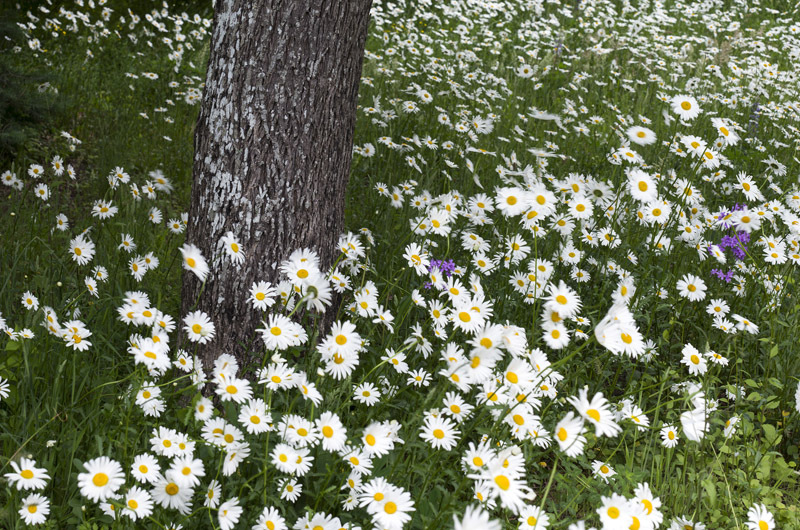 Walk and see the daisies. From saunter to strut we walk through life, hoofing a dance from time to time. Charlie Chaplin did a duck waddle and Michael Jackson moon-walked. Storks stalk, soldiers march. I have a friend who has trekked 12,000 miles on American terrain, not counting ordinary strolls. But you can’t run in that manner; marathons are only twenty-six. Avoiding strained hamstrings, a twisted ankle or knock on the knee, not to mention sunstroke and snow blindness, while walking for seven or eight decades, as most of us do, is a tribute to anthropology. Footloose and fancy free, even after getting your “walking papers,” you’ll hit the road for greener pastures. Legs carried us from Africa to Europe and elsewhere. Mobility is viability. Walking is a narrative, which the great mime Marcel Marceau embodied. Yet like speaking, walking takes us to new territory. What will happen? We palpate our sole, calf and haunch as intimately as any other portion of our body. “Standing on your own two feet” is a synonym for independence. Then, when you hit the floor running the next morning, you’ll go far, the axiom says. We swing our arms to add momentum, all four limbs in on the deal. Do walk to work if you can, at least part way, to feel commitment. Scissor those two brisk legs of yours like a swimmer. For me, a sun-filled room in mid-morning glows with virtual holiness. Simple pleasures such as walking, sleeping, sunning, dandling a child are what it’s all about. Stretching our legs may mean doing something imaginative, useful, if we’ve put on our thinking cap. Legroom or wiggle room is important to us, not to feel confined. Our stride is as personal as our bathing habits; one recognizes a friend’s from a block away. And Sundays are for sauntering, a favorite word of Thoreau’s for its connotation of Sainte-Terre, the sacredness of earth, bird and leaf. We lead life like a dolphin, up, down, up and down, a porpoise gait. How high do you leap? How deep is your deep? Don’t plod, undulate. Scoot up for air, and that wide-spectrum glimpse of God’s world.